‘Passion’ takes traditional view — but is it accurate? Jim Caviezel, portraying Jesus, is shown nailed to the cross on the set of "The Passion of the Christ" in this publicity photo. 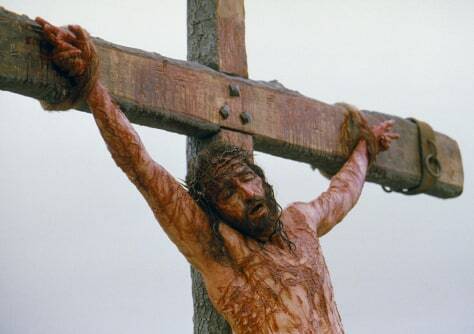 The movie reportedly shows Jesus being nailed to the cross, and this photo indicates that the hands were also bound to the crossbar with rope.